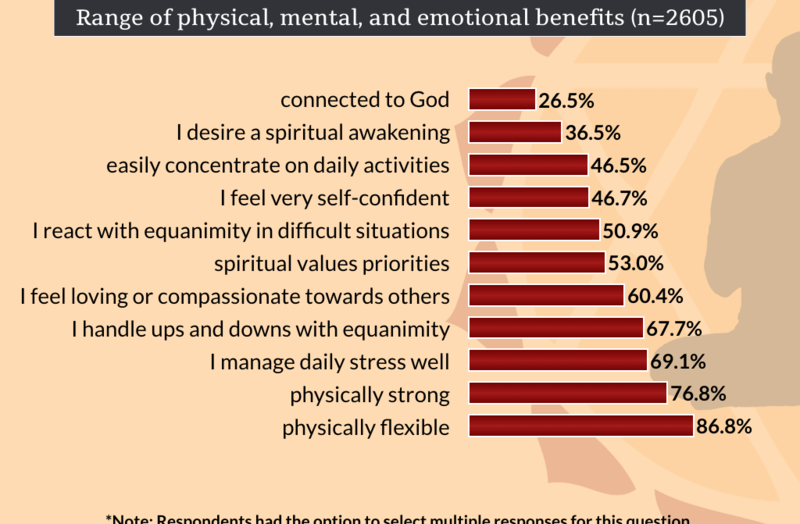 Yoga Impacts Daily Life: What Are Survey Respondents Saying? We all know that yoga impacts daily life. That’s why we do it, right? 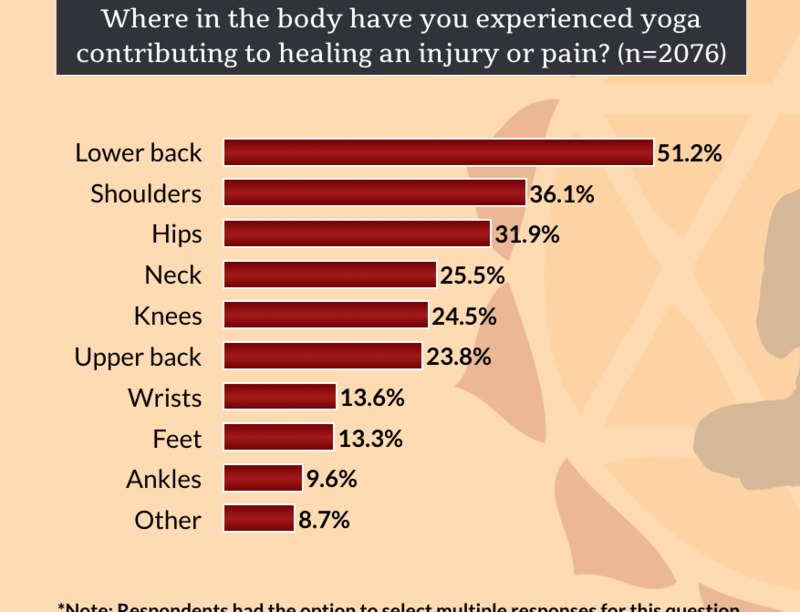 Perhaps you were surprised by some of the survey data we wrote about regarding negative experiences in yoga or injuries in adjustments. Well, I’m not sure you’ll be terribly surprised by the outcome of what we as yoga practitioners choose to do in the rest of our life because we practice on a regular basis. What is interesting and will continue to be interesting are the long-term effects of doing the practice on other areas of our life. Anything that holds a place of central importance will impact our lives. If I’m going to be awake early most mornings for yoga practice, meditation practice, and teaching, and I value getting enough sleep, getting to bed early is a priority. If I want to feel energetic and not heavy during my yoga practice, then I might adjust my diet accordingly. If you’re like me, you probably don’t eat heavy meals at night. Spending time doing a movement practice like yoga asana could also make us more aware of how we feel throughout the day. A heightened general awareness of how we feel directs changes in other habits, like alcohol consumption or cigarette smoking. 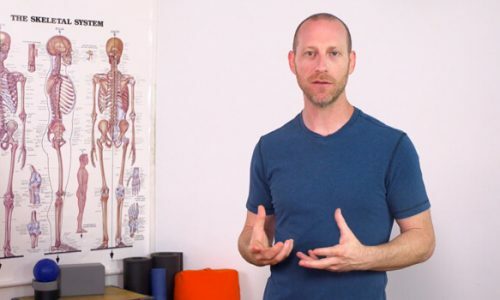 Perhaps we are simply more aware of our movements and the associated kinesthetic sense of what it feels like to be in a moving breathing body. If we are very active in a particular sport, we might become aware of how yoga practice interacts with the movements required in that sport. 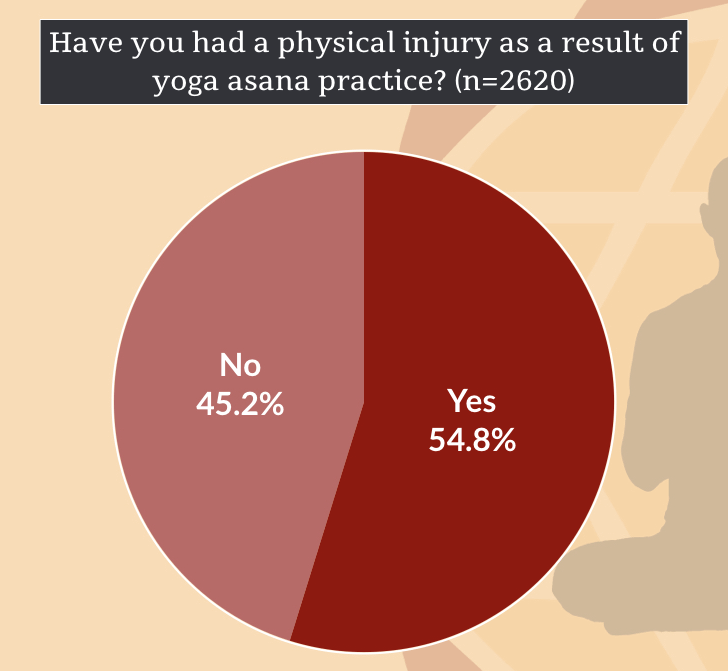 We could decide to do a yoga practice more consistently as it might be great cross-training for that particular sport. We might also decide to back off of a particular sport if we are very enthusiastic about yoga poses, since some sports, running for example, may make some yoga asanas, like lotus pose, more challenging. There are lots of possibilities for ways in which yoga impacts daily life, so let’s see what our respondents said about how yoga has impacted their daily life! 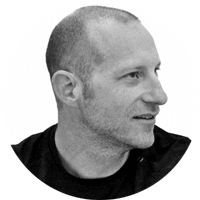 In what ways do practitioners report that yoga impacts their daily life, specifically with regard to habits of sleep, diet, alcohol consumption, and cigarette smoking? 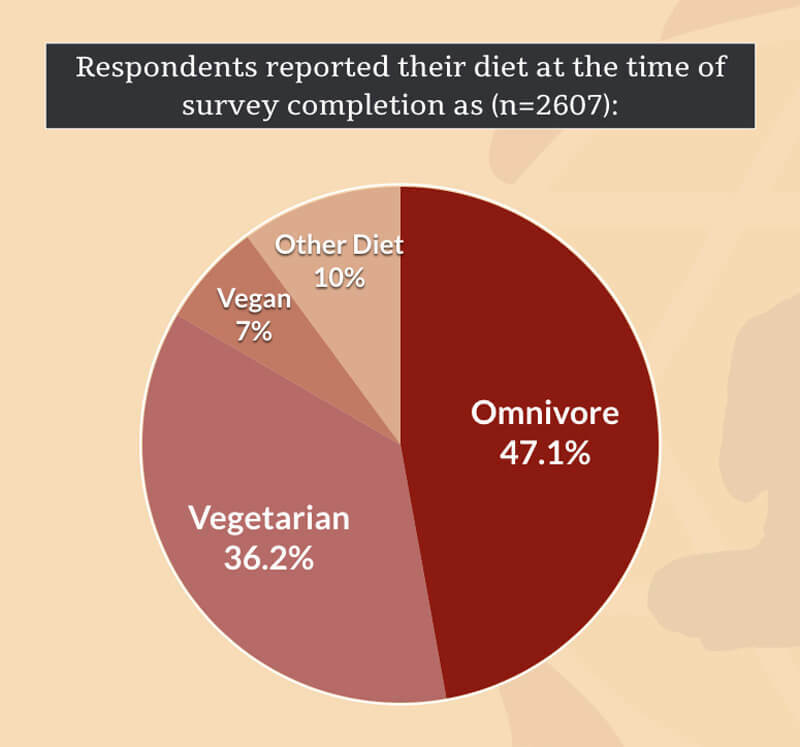 Respondents Reported Their Diet at the Time of Survey Completion. More than half of respondents (63.4%) reported consuming less than 6 alcoholic drinks in the last 30 days (n=2617). 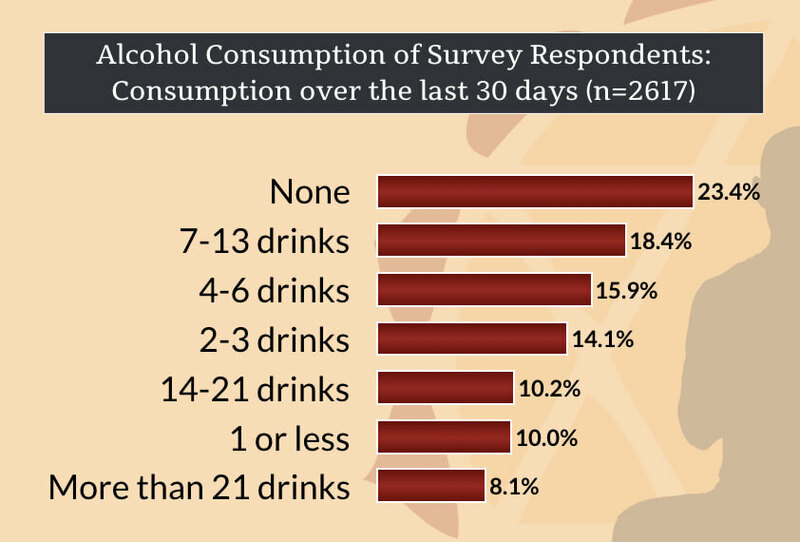 More than a quarter (33.4%) of respondents reported consuming 1 or less alcoholic drinks in the last 30 days. Alcohol consumption among our survey respondents was considerably lower than that of the overall population of the most highly represented countries in our survey sample. The World Health Organization report by country here indicates that average Americans consume .77 L pure alcohol in a month (about 27 pint size beers), those in the UK consume .97 L pure alcohol in a month (about 34 pint size beers), and Canadians consume .85 L pure alcohol in a month (about 30 pint size beers). Most respondents, 91.6% (n=2620) did not smoke cigarettes at the time of the survey completion; 53.0% reported that they never smoked. An additional 38.6% reported that they previously smoked, but quit. Among those respondents who reported having smoked previously, but quit (n=1007), 34.4% of respondents had quit between 6 and 14 years ago. Another 35.9% had quit between 15 and 30 years previously. Among those respondents that did report smoking cigarettes (n=218), 39.9% reported smoking 1-5 cigarettes in the last week, with another 20.2% reporting having smoked 6-14 cigarettes in the last week. Smoking cigarettes was less common in our survey population than in the overall populations of the most highly represented countries in our survey sample. Using survey data from this site. We could estimate that weekly cigarette consumption overall in the U.S. population was 21 cigarettes, 16 cigarettes per week in the U.K., and 22 cigarettes per week in Canada. 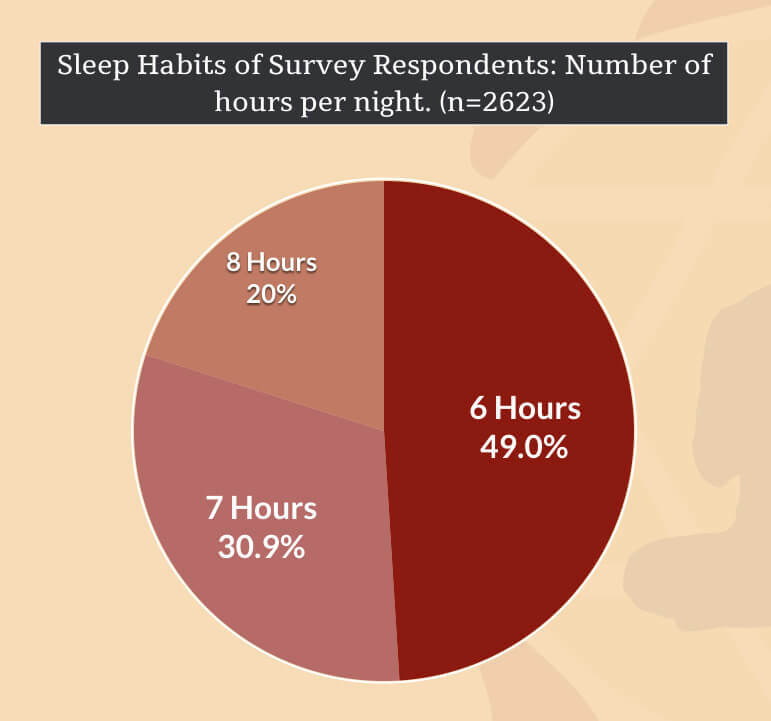 Most respondents (n=2623) reported typically getting between 6 and 8 hours of sleep per night. 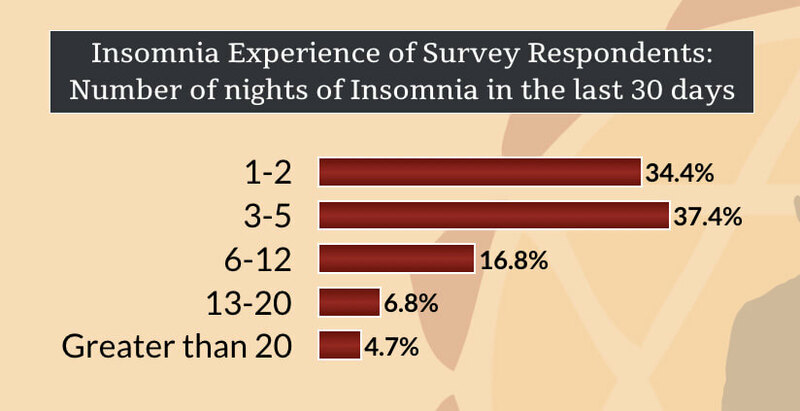 About ⅔ of respondents, 62.7%, (n=2618) reported not experiencing any insomnia disrupting their sleep. 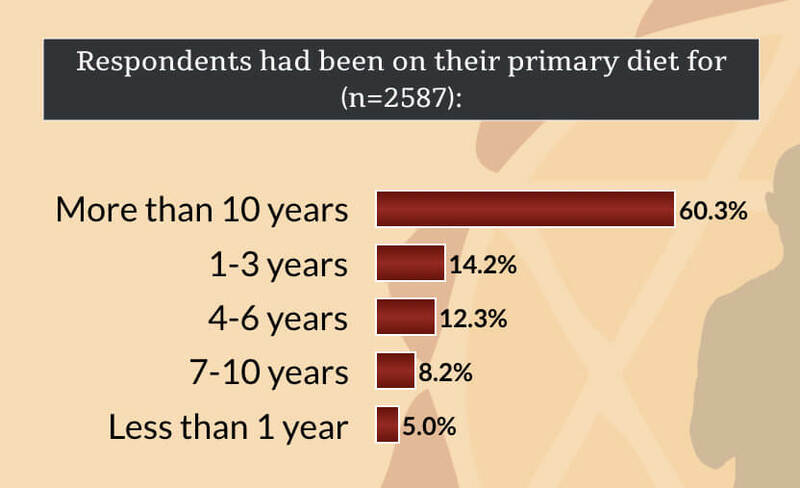 Only 33.7% of respondents reported experiencing periodic insomnia. Among those that did report experiencing insomnia disrupting their sleep (n=970), 71.8% reported experiencing insomnia 5 times or less in the in the last 30 days. Yoga practitioners were similar to others when it came to sleep habits. From this site we can see that average Americans from the U.S. are getting 6 hours 31 minutes sleep on weekdays, while average Canadians and those from the UK are getting 7 hours on weekdays. What interests me most about this part of our data set is thinking about what these habits suggest about the ways in which yoga practice might push us to make choices? What are the ways in which yoga impacts daily life? Based on our survey data, as yoga practitioners, it seems like we could be considered to have generally healthy habits compared to the general population of our respective countries. 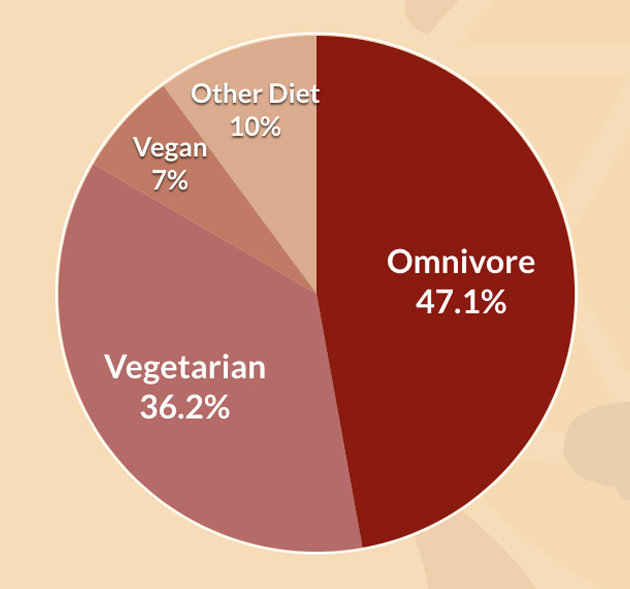 Although a direct comparison was not possible, based on available published survey data for world habits, in general, yoga practitioners within our sample were more likely to eat a vegetarian or vegan diet than average, less likely to smoke cigarettes than average, and drank less alcohol than average. Sleep habits with respect to number of hours each night weren’t remarkably different. Now that we have a baseline to work from, we will continue to track as many of our respondents as possible to see how this plays out in the long-term. What are the ways in which yoga impacts daily life for you? Has your experience been similar or different to what we’ve reported here?